He has the gift of healing. Now, he’ll need the courage to use it. 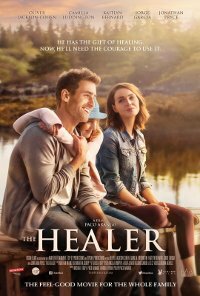 A man with financial problems reluctantly moves back to his uncle’s village for a year, only to discover that the villagers believe he has the power to heal them from any disease. This puts him in contact with a teenage girl with terminal cancer, which in turn causes great confusion in his life as he struggles to come to terms with his gifts and life goals and feelings. No persons under 13 (Language). Violence Infrequent low impact violence.